The Market is open every Thursday, from 3:30 to 7:00 p.m., from May 10 to mid-October, rain or shine. Come to the Catawba Valley Farmers Market for grass-fed beef, a large selection of pork products and eggs. Local farmers and gardeners have a varied selection of vegetables and fruits, which changes as the growing season progresses. There are also breads, cakes, cookies & other baked goods. The Catawba Valley Farmers Market is located under the picnic shelter at Catawba Community Center, 4965 Catawba Creek Road (Rt. 779), just off Rt. 311, in Catawba. 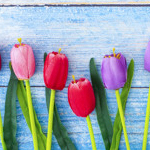 The Market is open every Thursday, from 3:30 to 7:00 p.m., from May 10 to mid-October, rain or shine. This site is a Roanoke County Park, with playground for the kids and indoor restrooms. The Market is handicap-accessible, with plenty of free parking and beautiful farm & mountain scenery to enjoy as you shop. Come out to meet and get to know the local farmers, gardeners, cooks and craftsmen who are producing the fresh foods, baked goods and crafts! 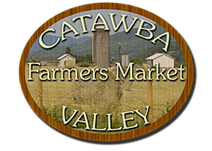 See www.catawbafarmersmarket.com and Facebook page (follow Catawba Valley Farmers' Market) for a weekly newsletter, news of upcoming special events and many photos.